Tony Blair is to be summoned back to the official inquiry into the Iraq invasion in light of damaging and conflicting evidence revealed since he appeared as a witness earlier this year. Blair will give evidence between 18 January and 4 February next year along with Admiral Lord Boyce, the former chief of the defence staff, and Jack Straw, the former foreign secretary. Three successive cabinet secretaries who operated at the heart of Whitehall will also be called. Members of the Chilcot panel are believed to be concerned about the revelation in documents released in June that the former prime minister was warned by his government’s chief law officer that an invasion of Iraq would be illegal the day before he privately assured George Bush he would support US-led military action. The documents gave an unprecedented insight into how the then attorney general, Lord Goldsmith, repeatedly warned Blair of the consequences of invading Iraq without fresh UN authority, much to the prime minister’s irritation. Goldsmith warned Blair that “the correct legal interpretation of resolution 1441 [the last security council decision on Iraq] is that it does not authorise the use of force without a further determination by the security council”. The next day, 31 January 2003, Blair flew to Washington to meet Bush. Manning records the president – in a minute previously disclosed – as telling Blair that military action would be taken with or without a second security council resolution and the bombing would begin in mid-March 2003. Earlier that month, on 14 January 2003, Goldsmith warned Blair in a classified memo that UN security council 1441 “contains no express authorisation by the security council for the use of force”. By 7 March, after a trip to Washington where he had talks with Bush administration lawyers, Goldsmith told Blair that a new UN resolution might not be needed after all, though going to war without one would still risk Britain being indicted before an international court. Ten days later, on 17 March 2003, Goldsmith published a short note saying an invasion would be lawful. 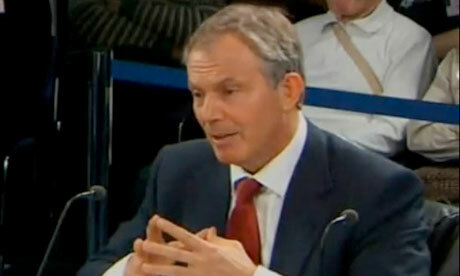 Blair testified before the Chilcot inquiry for nearly six hours in January. He told the inquiry that the question of whether military action would be lawful was “always a very, very difficult, balanced judgment”. Yet the inquiry has also heard that Blair told Boyce, then head of the armed forces, that it was his “unequivocal” view that an invasion would be lawful. Blair told Goldsmith’s office to pass on the message after Boyce demanded an “unequivocal” yes or no answer to whether it would be legal.